Kentucky picked up a commitment from Mychal Mulder this spring and many fans around the country are wondering what they can expect from Mulder. We will break down his game here and take a look at what Kentucky fans can expect from him when he hits the hardwood in Lexington. Mulder, a Windsor, Ontario native, played his junior college basketball at Vincennes, which is one of the top JUCO programs in the country. Mulder is used to winning games and was able to help guide Vincennes to a 67-5 record during his two seasons at VU. 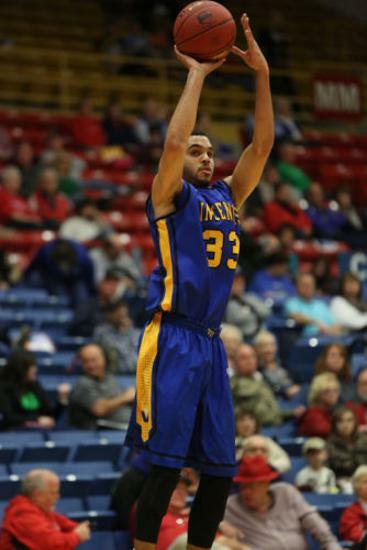 Mulder averaged 15.7 points and 6.4 rebounds per game on a very deep and talented Vincennes team. He shot the ball at a very effective rate from the field (49% from the field/46% from three/80% from the free throw line) and was named an NJCAA First-Team All-American as a sophomore. What can Kentucky expect from Mulder on the court? One of Mulder’s biggest assets is his ability to knock down shots from the perimeter. He has a smooth stroke and elevates on his jumper, which means he should be able to make the transition to the high major level and get his shot off quickly when defenders bigger/quicker defenders close out on the perimeter. While Mulder shoots it very well from the three-point line, he also has the ability to attack off the dribble and pull up from 15-17 feet. Mulder’s has an impressive pull up game from 15-17 feet that is difficult to find in today’s game. Mulder has a high IQ and does a very good job of using screens to free him self on the offensive end. He does a nice job of setting defenders up and rubbing them off of screens. He also reads the defense well and will curl or flare depending on how the defender guards the screen. Defensively, Mulder can guard the 2 or 3 spot and uses his size and length to get in the passing lanes. He rebounds the ball well on both ends of the court and isn’t afraid to mix it up in the paint or go after loose balls. Mulder will have two years remaining upon arrival at Kentucky. Here is what Kentucky head coach John Calipari had to say about Mulder: "I'm so excited to be coaching Mychal," Calipari said. "He's been in a great program the last two years and been pushed hard by a terrific coach. His teams have won and he's shared; yet he was still rewarded as a first-team All-American. He fits our program."